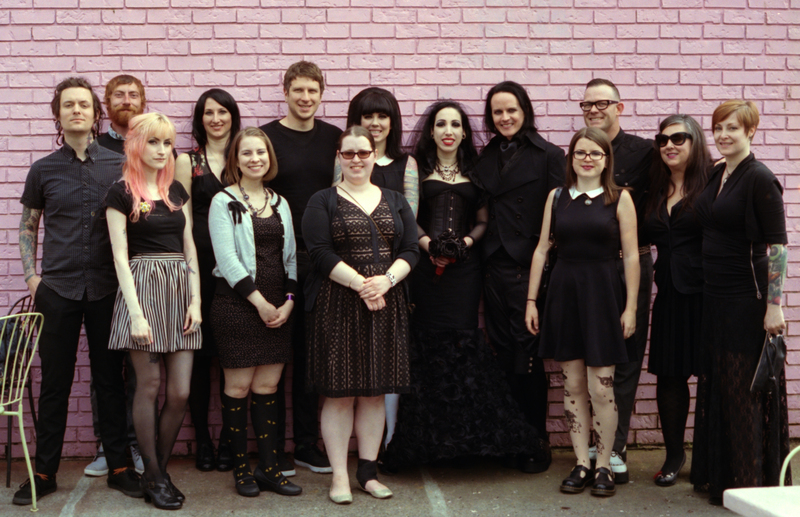 Vegan Vampire Wedding, 5/10/15 at Voodoo Doughnut Too in Portland, OR. Welcome to our Seattle based den! After 5 years of blogging at cameraphonevegan.com/veganderbycatparty.com, it was time for something new. I launched Vegan Vampire Bites just a couple of months before our “Vegan Vampire Wedding” at Voodoo Doughnut Too in Portland, OR. In September 2015, we shifted our vegan diet to be more gluten free and soy limiting, though we aren’t eliminating them completely from our diet. So you’re likely to see more about that as I do some discovering and experimenting with products and recipes! About Ty: I’ve been vegan since January 2010. I’m also allergic to almonds. (Not life or death, but they make my face itchy and my throat feel swollen. So do a lot of fragrances and flowers!) 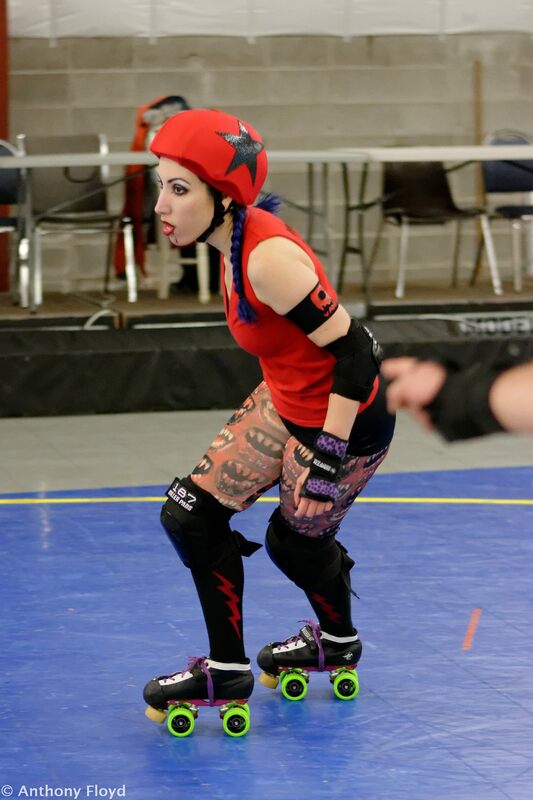 My derby name is Vampira Bitely, and I go by Vamp on the track. I’ve been skating with PFM Roller Derby since September 2014. We’re a teaching and recreational skate club that does learning scrimmages monthly. It’s something I really enjoy, and it’s also been the greatest competitor for my blogging energies! 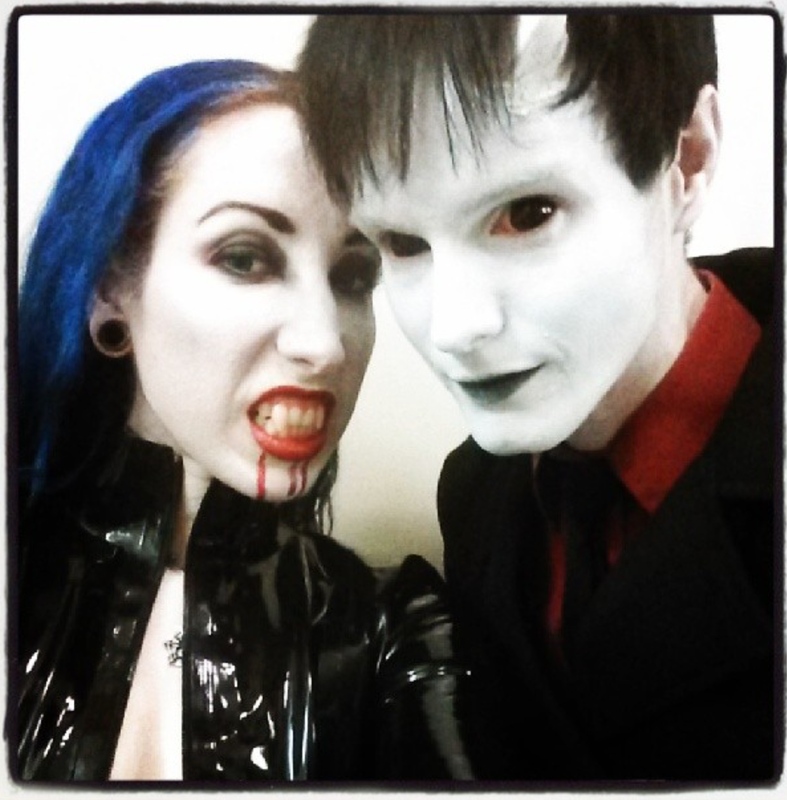 About Thomas: I originally met Thomas around 2006, and he was always Vampire Thomas to me! 😉 When we started dating in 2010, he was a previous vegetarian that ate chicken. Of his own accord he decided to go vegetarian again not too much later down the road, and then right before the wedding, he decided to finally ditch dairy and eggs. 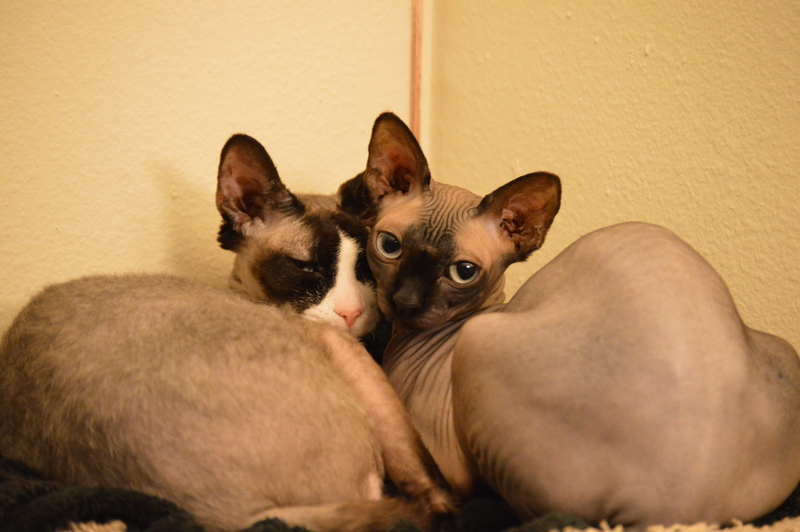 Thanks to roller derby, Thomas has also been getting a little more camera savvy. So now instead of just my phone shot photos, you’ll get some nicer ones from time to time too! Please invite us in to your home and subscribe using the links on your right! I don’t know how I missed this part of your blog, but how epic you guys got married at Voodoo too!